Health officials Tuesday ordered nearly everyone in a heavily Orthodox Jewish New York City neighborhood to be vaccinated for measles or face fines, reviving a public-health strategy that experts say hasn't been used in the U.S. in recent memory. The emergency order came as the city, a suburban New York county and some other parts of the nation grapple with a spurt in a disease the U.S. declared eradicated almost two decades ago. "This is an unusual action," New York Mayor Bill de Blasio acknowledged, "and it's because of the sheer extent of the crisis." Meanwhile, the federal Centers for Disease Control and Prevention elevated its response to measles, establishing a larger team to focus on outbreaks that have sickened 465 people nationwide this year — the second-greatest number of cases reported in the U.S. since measles was eliminated domestically in 2000. The nation's biggest city is in the midst of its biggest measles outbreak since 1991, with 285 cases diagnosed since last fall — compared to two in all of 2017, officials said. They blamed the spike partly on anti-vaccine campaigns spreading misinformation that immunizations are dangerous. News of the order got a mixed reaction among Orthodox Jews in Williamsburg, the Brooklyn neighborhood affected by the order. Some residents — even those who support vaccination — said they felt uncomfortable about the city pushing inoculations on people who don't want them. 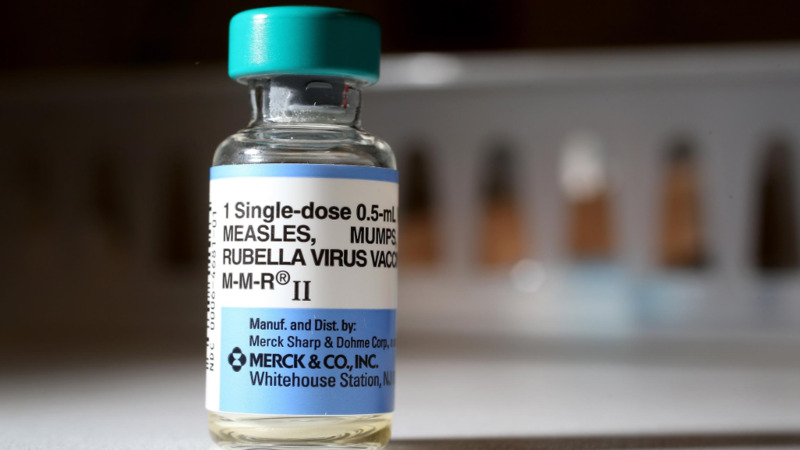 "It's true that a lot of people have measles, and measles are not a very good thing, said resident Aron Braver, but he thinks the vaccine is "also not a very good thing." "And it's everybody's option to do what he wants. What he decides," Braver added. The New York Civil Liberties Union also questioned the city's move. Executive director Donna Lieberman called it "an extreme measure" that "raises civil liberties concerns about forced medical treatment." Rockland County, north of the city, has already faced legal action over its efforts to contain measles: an emergency order that would ban children from public places unless they've been immunized. A court halted it last week, but County Executive Ed Day said Tuesday he planned to appeal. "If this is not an emergency, what is?" asked Day, a Republican. His county, which has sizeable Orthodox Jewish communities with close ties to Brooklyn, has logged 168 measles cases since last fall. He said Rockland officials are crafting a new order designed to isolate people exposed to measles. New York City's order applies to unvaccinated people who live, work or go to school in four ZIP codes, with some exceptions, such as for children under 6 months old. Officials said they would help people arrange to get shots but were prepared to fine them as much as $1,000 if they refused. 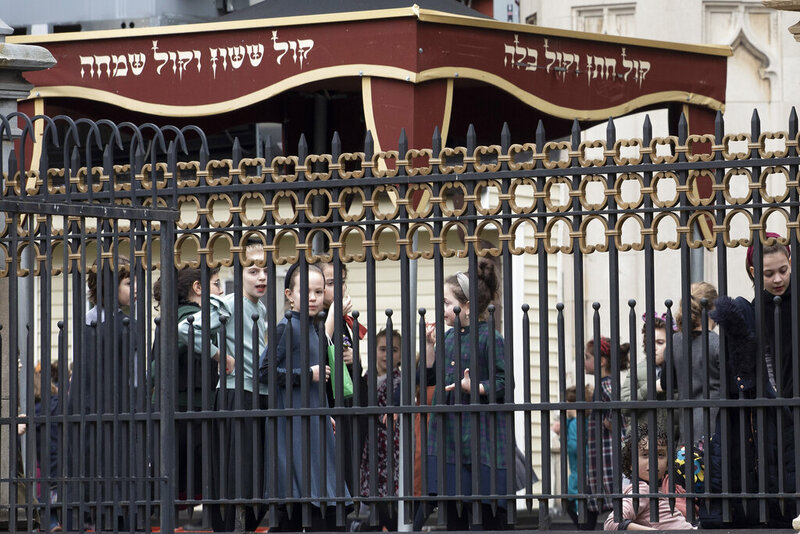 The measure comes a day after the city ordered Orthodox Jewish schools and day care programs in Williamsburg to exclude unvaccinated students from classes during the outbreak or risk being closed down. The city believes an estimated 1,800 children in the neighborhood hadn't been immunized as of December. At Yeshiva Kehilath Yakov school, Rabbi David Oberlander said administrators took pains to make sure children with measles — some 20 cases in recent months — weren't in class. "We try to control our school, and we really strive to comply 100% with the Department of Health," he said. "But we don't control the parents, and we don't intend to control the parents." U.S. cities have fined residents before for not being vaccinated, but "not in our modern history," said Lawrence Gostin, a Georgetown Law professor focused on public health law. The U.S. Supreme Court upheld such an order in a 1905 case involving smallpox vaccinations in Cambridge, Massachusetts. But over time, school-vaccination requirements — which the high court upheld in 1922 — became the centerpiece of public health officials' strategies to fight measles, mumps and other communicable diseases. Overall vaccination rates remain high, but the percentage of kids under 2 who haven't gotten their shots is growing, according to the Centers for Disease Control. The CDC attributes the trend partly to lack of health insurance. But some experts also point to an "anti-vax" viewpoint that has gained some traction in recent years, helped by social media. 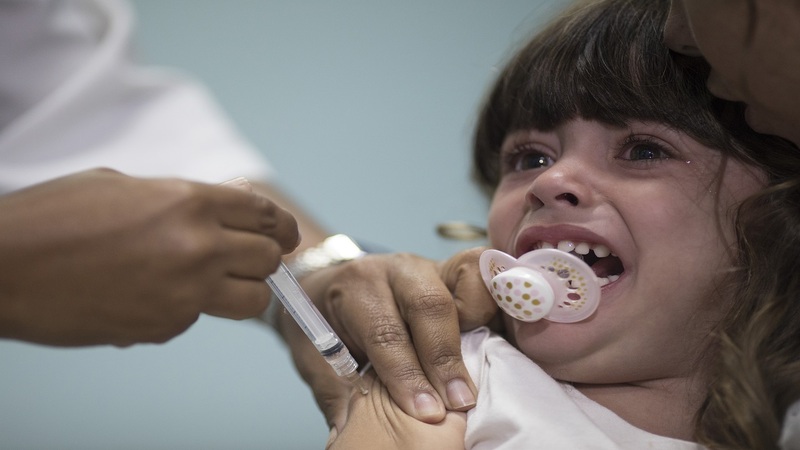 "I think it's a sign of the impact of vaccine denialism, where we're now in a place where cities feel like they need to up the ante" with vaccination orders, says Scott Burris, a public health law professor at Temple University's Beasley School of Law. In Brooklyn and Rockland County, anti-vaccination advocates have been circulating a 40-page booklet around Orthodox Jewish enclaves. It lays out numerous anti-vaccine arguments that have been debunked by scientific studies, such as a claim that measles, mumps and rubella vaccinations increase the risk of autism. "There is a very strong anti-vaccination propaganda movement in these communities, and they're very effective," said Blima Marcus, a nurse practitioner who lives in Brooklyn. She and fellow volunteers from the Orthodox Jewish Nurses Association have been holding workshops to reassure mothers that the vaccine is safe and effective. A query was sent to two email addresses listed as contacts in the booklet. Spread through coughs and sneezes, measles is highly contagious and can cause serious health problems, including pneumonia and brain swelling that can lead to seizures, deafness or intellectual disability. 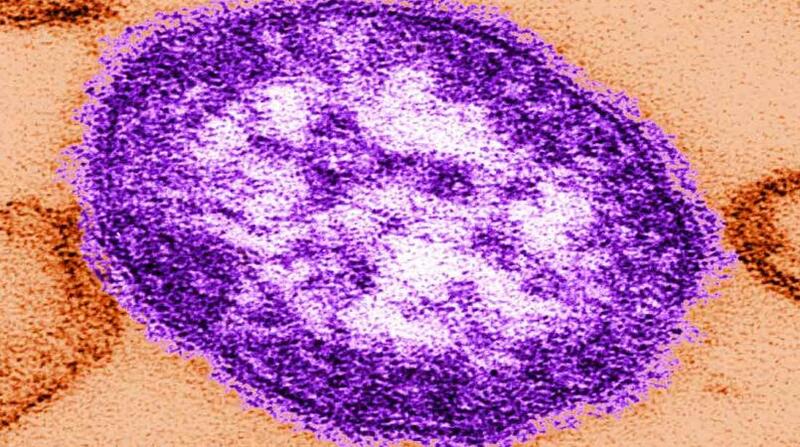 Deaths are rare in the U.S., but measles killed 110,000 people globally in 2017.